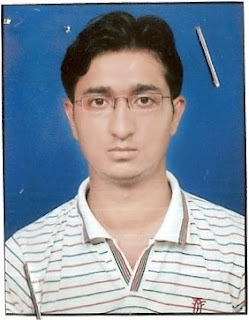 Dr Lokesh Garg :- Hardworking and consistency and luck and DAMS (Guidance). Dr Lokesh Garg:- They are very supporting to me ,their blessing . DAMS: Who influenced you to take up ortho? Dr Lokesh Garg:- Yes , many times. Dr Lokesh Garg :- Lippincot, ganong, dutta, BDC, Across, AA, mk . Dr Lokesh Garg:- Mk and AA is most Across is least . Dr Lokesh Garg:- Very Helpful,It is my role model. Dr Lokesh Garg:- Multiple is good but NEET will be better. Dr Lokesh Garg:- 1st year. Dr Lokesh Garg:- Give one chance to one question. Dr Lokesh garg :- Orthopaedic , I want surgical branch. Dr Lokesh Garg :- Dr. Sumer Sethi, Dr. Sidharth Sethi, Dr. Anupama, Devgan, Dr. Poonam Aggarwal, Dr. Rajiv Tiwari all are very good. good sir, very specific and matured answer. You need to guide all aipg aspirants from our coll. you proved that all of us have the capabilities only right path has to be chosen. anyways very best wishes to your future.